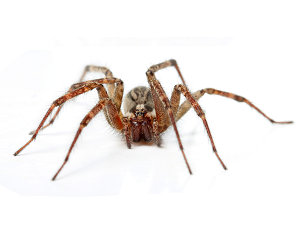 Common spiders in the Pacific Northwest include Hobo Spiders, Wolf Spiders, Giant European House Spiders. 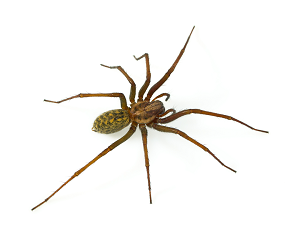 Because Hobo Spiders can be dangerous to people and pets it is important to have your home treated, inside and out. Spiders use their webs to catch prey. Spiders also use their webs for protection, shelter and to protect their egg sac. Removing spider webs is a critical step in getting rid of spiders from your home as it removes the egg sac and makes it difficult for spiders to reproduce. Perimeter spraying is important to establish a perimeter barrier to keep spiders from coming back inside your home. Crack and Crevice spray is important to eliminate spiders that may hide away underneath baseboards, inside walls, and other tight spaces. Getting rid of spiders is a process that demand expertise and patience. 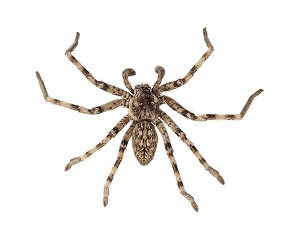 Many spiders are eliminated within the first few months, it can take up to a year to completely eliminate a large infestation. Regular perimeter sprays and crack & crevice sprays will ensure total elimination of the spiders in your home and will keep them out, guaranteed! If these steps are followed, we guarantee your home will be spider free. If they find a way back into your home on our watch, we’ll get rid of them! 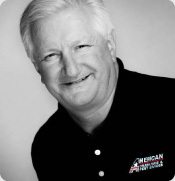 Contact us to schedule your free inspection (425) 742-8786. "These guys are fantastic!!! Professional, kind, thorough, and they arrive when they tell you they will and they return your calls if you need a (rare) call back."